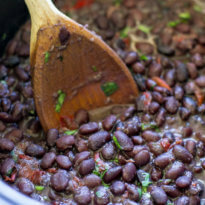 Slow Cooker Black Beans are easy to make, inexpensive, filling, and delicious. Inspired by Chipotle’s black beans, but with BACON. Our family eats them all the time, sometimes for days on end, weeks at a time. Why would we subject ourselves to this? Because beans are magical! They are dirt cheap and really fill you. And more importantly, most important of all, they taste REALLY GOOD. I rarely share a dump-and-pour crockpot recipe because it’s just not my style. 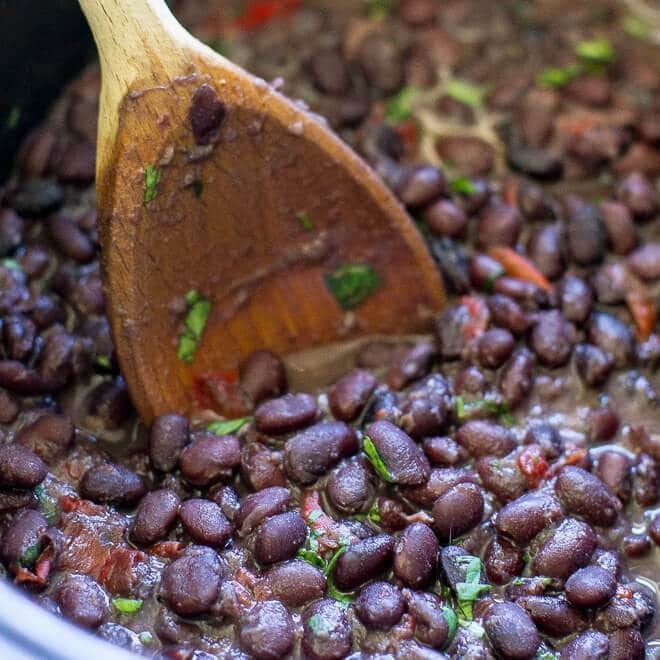 These Slow Cooker Black Beans are no different. 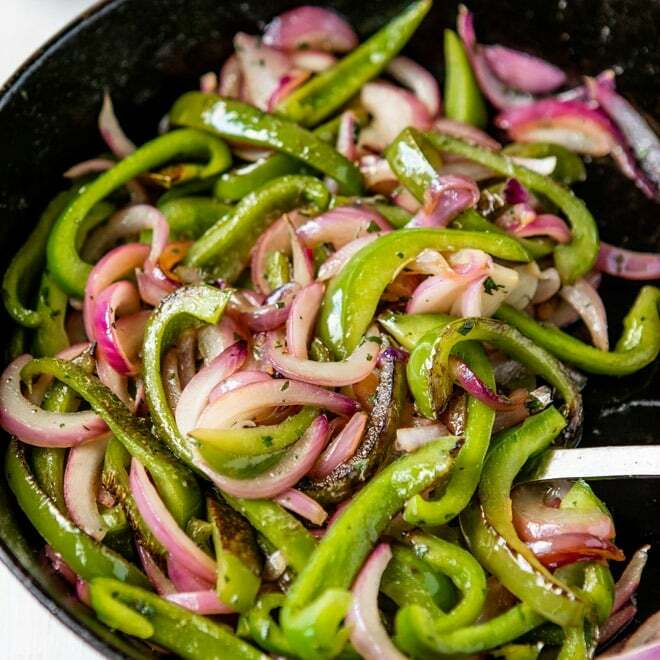 The great flavors come from sautéing the onions and peppers in the rendered bacon fat (Don’t fret! It’s just 2 slices!) and adding the spices, all before bringing the beans to a boil and adding them to the slow cooker. This extra 20 minutes of hand’s on time means BIG flavors for you in the end: Black beans worth raving about. Slow Cooker Black Beans are great as a main dish (serve with rice or tortillas and toppings like salsa, sour cream, and guacamole) or on the side of your favorite Mexican entrees. Or, build a classic Chipotle Burrito bowl. 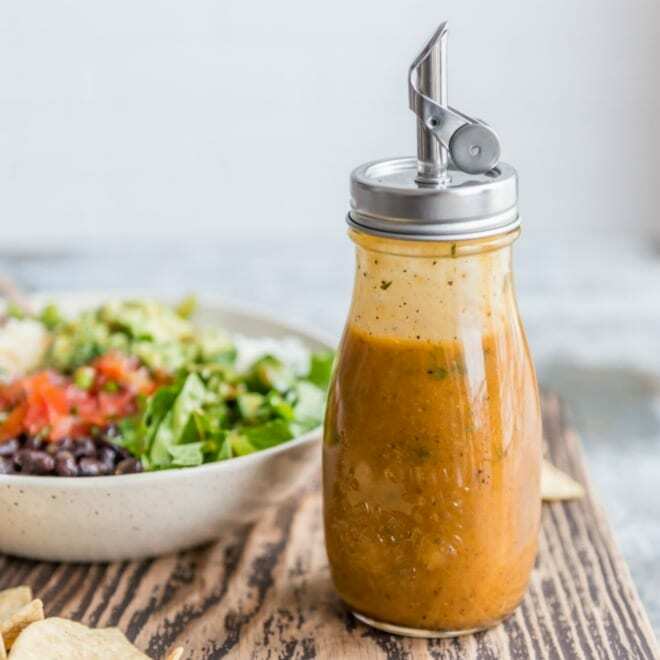 Just scroll down for all my Chipotle Copycat recipes! Remember to soak the beans the night before! Please see the note at the end of the recipe for instructions. Need a slow cooker? I’ve been using this one since 2009 and I love it. 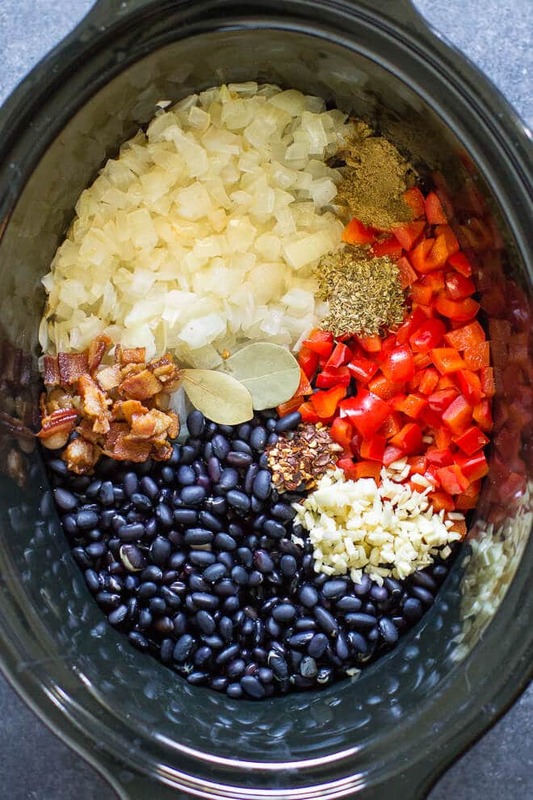 Slow Cooker Black Beans are easy to make, inexpensive, filling, and delicious. Inspired by Chipotle's black beans, but with BACON. Pour off 3 1/2 cups of the soaking liquid and reserve. Drain and discard remaining soaking liquid. In a 3-quart saucepan, sauté bacon until it begins to crisp, about 5 minutes. Add onions, bell pepper, cumin, and ½ tsp. salt. Continue to cook about 5 minutes longer, until vegetables are softened. Stir in garlic and oregano and cook until fragrant, about 30 seconds. Add water, beans, bay leaves, and red pepper flakes. Bring to a boil. Pour into a large crock pot and cook on HIGH for 3 to 4 hours or LOW 7 to 8 hours (see notes). Remove and discard bay leaves. 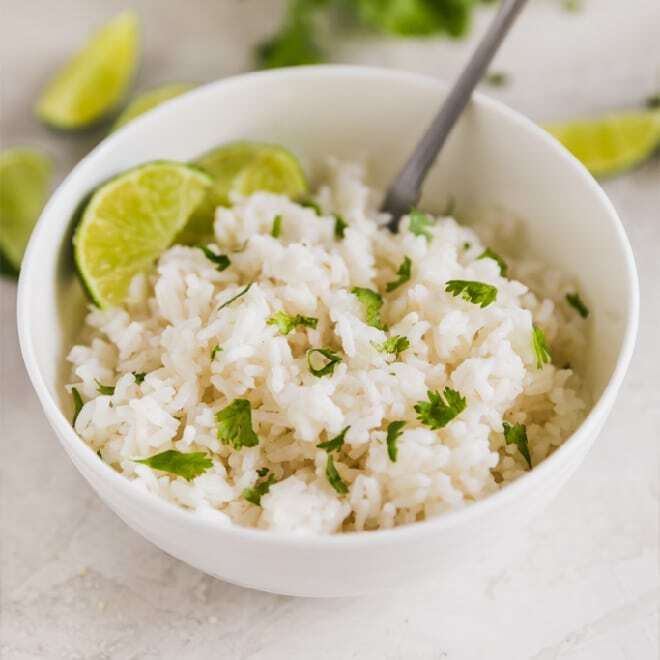 Add cilantro and lime juice and season to taste with salt and pepper. Slow cooker times may vary. The first time you make the beans, please check them after 3 or 4 hours on HIGH and continue cooking longer if necessary. If the beans have any crunch to them at all, please cook them longer. To soak black beans: Place 4 quarts water in a large bowl and add beans. Soak at least 8 hours or overnight. YUM! I can eat beans all by themselves! You’re right, they DO fill you up! I’ve been looking for a simple and delicious recipe for beans! This is perfect. Thank you! Thank you Rebecca! I agree with you, it’s nice to have a fairly simple, yet still delicious, way to eat more beans. :) Have a great week! Thanks again! Made them today with some enchiladas. Soaked over night, Cooked on high for 2 hours and then dropped down to low for 3 hours. They were just about perfect. It was my first time using dry beans and it was too easy to not do again. The only problem? I made an entire crock pot full for 4 people! I think I’ll be eating them for the next few days. This is a great recipe. Thanks! I don’t always plan ahead enough to leave time for soaking over night. I often make a ton of beans and then freeze them in manageable batches so that they can be thawed and served a little more quickly. I really want to do more of this in my life! I picked up some 16-ounce containers recently so I can start batch-cooking and stocking my freezer, everything from brown rice and quinoa to beans like these. Great idea! Thanks Abby! Okay don’t laugh at me but I’ve never had black beans! I’m planning a “Chipotle” night for my family and was going to make this. I always get pintos at the restaurant, as does my husband, but my oldest always gets black beans (she doesn’t like pintos). Do these taste anything like pintos? LOL But my main question is have you ever tried it with chicken broth instead of water? I was just curious if that may give the flavor a bump. My soaking water for pintos is always very dirty looking the next morning, so I’m a little hesitant on using that. Hey April, no laughs over the beans! No big deal. Obviously at some point in our lives, everyone is trying black beans for the first time. :) I don’t think black beans taste like pintos. However, I do think in general all beans have a similar taste and texture. So, they taste as much like pintos as kidney beans do. If that makes sense. You could definitely make these with chicken broth instead of water, but you really don’t need to give them a flavor bump. I’d say the bacon in cumin in particular make the beans quite flavorful, but there’s a lot of other stuff going on such as garlic, a bay leaf, and red pepper flakes. And when you stir in the cilantro and lime juice at the end, that’s quite bright and fresh as well. But use chicken broth! It’s no problem at all. And it’s okay if you want to dump your soaking water. Use fresh. No biggie. If you have anymore question just let me know! Thank you April! I hope your Chipotle night is a success. :) I have some of the other recipes from there too, the chicken, pork, rice, vegetables, guac, corn salsa, and tomato salsa. Good luck and take care! Just wanted to come back and say everything was a hit! We really enjoyed it all and our daughter loved the black beans. We also made the corn salsa, the rice, pintos, and the chicken (which was amazing). Took some time for everything to come together but it was totally worth it! Thank you so much for these fabulous recipes! Will make again! Hey there! Sure, you can used canned beans. Since they are already cooked, it would just be however long it takes to heat them up. So maybe 2 hours on high? 3 to 4 hours on low? That should be about right. Just cook them in there until they are hot. :) Thank you for your question! I’ll test it out myself when I get a chance and update the recipe notes. Take care! How much canned black beans would you use? Hi Melissa! You would need about 4 cans. And the cooking time would be reduced a lot because you just need to heat the beans through, not actually cook them. I hope this helps! Thank you for the question! I’ll update the post with this information. Thank you for all the Chipotle recipes! My kids were commenting how my attempts weren’t quite right so we shall see😊. Want to try this recipe for a large group. Can this be made and then frozen until the day before? Hi Audrey, yes definitely! Beans can handle anything. :D Thank you, I hope you love it! 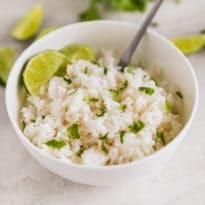 Looking for frugal simple scratch made, tasty recipes for lunches. This looks good. A store near work has beans in bins for low cost. I bought black beans for extra nutrition. I have everything but the cumin right now. I’m going to take some ingredients from your black bean recipe, add it to a recipe for chicken soup, which should make a real stick to your ribs type of soup for cold winter nights. 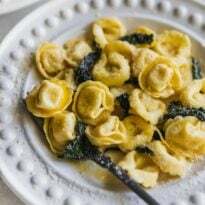 I want to make these for a large party have you ever tried doubling the recipe?